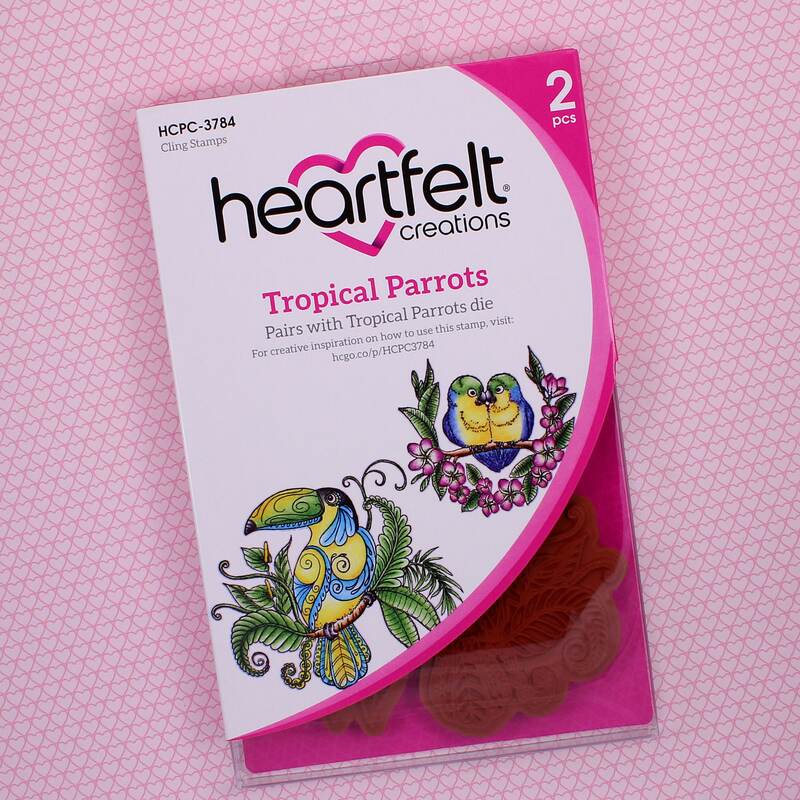 Impeccably illustrated and filled with the finest of details, the birds within the Tropical Parrots Cling Stamp Set are a dream for showcasing your incredible coloring skills. 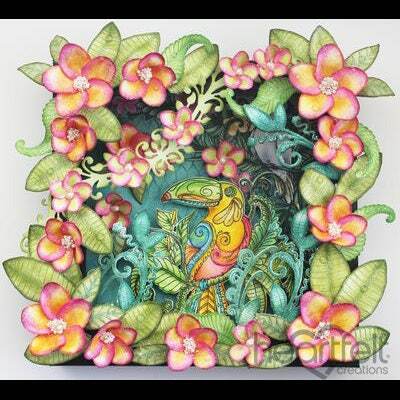 Shaded with the vibrant hues of a tropical paradise, these images are sure to stand out when utilized as a main focal point or die cut with the coordinating dies and used as an embellishment on any paper craft creation! 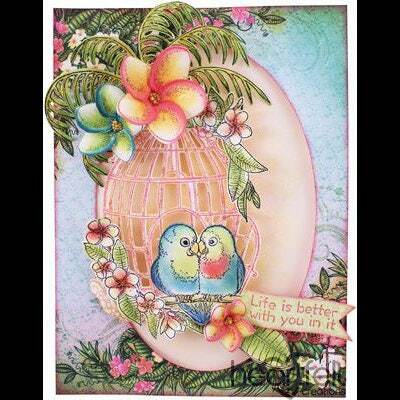 Ideal images to mix and match with any of our other tropical themed paper collections! 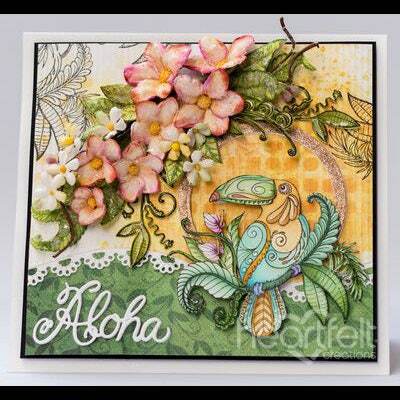 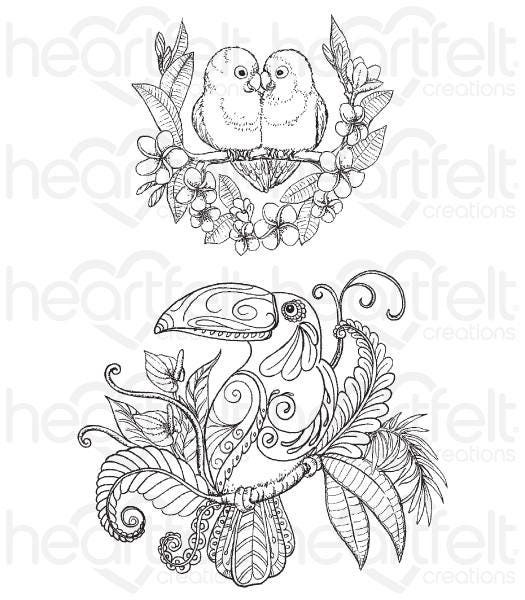 This cling stamp set is part of the Tropical Paradise Collection and pairs with the Tropical Parrots Die.